The Shire’s newest asset now has its own identity. The word “marrang” will be new to many but is the Aboriginal word for beach or sand. 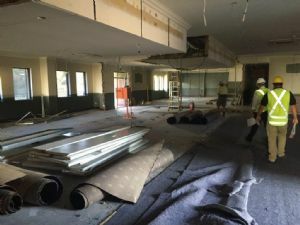 Manager of Community, Culture and Information, Simon Schweitzer said construction at the old tavern site is on track, with the doors to open in late June. “Names are important and are powerful when they acknowledge our past and honour our heritage,” he said. Aboriginal names featured strongly among the many suggestions from the community. 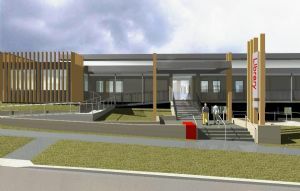 In making their decision, Councillors hoped that the name would help the building make a connection with Aboriginal people, and see information shared and relationships built. The Tura Marrang Library and Community Centre delivers much for the fastest growing area in the Shire. Residents and visitors can expect a full range of library services, including free WiFi and computer access, a variety of reading a study spaces, kids and youth zones and current newspapers and magazines. Importantly the building will also provide a number of places for meetings and gatherings, something in short supply in the Tura area. Meeting rooms and spaces will be available for hire during and after business hours. “I’d like to thank the community for their input into this process, the excitement shown will soon be realised,” Mr Schweitzer said.